In food processing there is zero tolerance when it comes to pests. Today’s food plant pest management programs should be effective, fully documented and automated. Eco Systems prides itself in being at the forefront of technology in or industry. Through the use of handheld computers with scanners we provide the ability to analyze and trend pest problems allowing better tracking and control. The information gathered during our services is uploaded to our servers allowing for access to a wide range of reports not only for a particular service, but for all services ever performed. 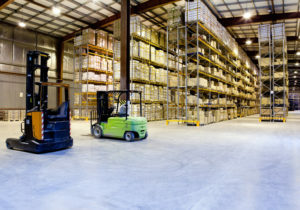 Audits are increasingly adding pressure on plants and warehouses to tighten quality controls during the movement and storage of their goods. Many facilities are now subject to 3rd party inspections that directly affect their bottom line if they do not achieve high scores. Eco Systems food handling facility pest management specialists have the third party expertise to fully support your compliance efforts with all current auditing standards. You are very sensitive about your facility and so are we! Healthcare and medical facilities demand the highest level of quality in their Pest Management services. A sterile, pest-free environment is essential to their daily operation. Eco Systems takes an aggressive, zero-tolerance approach to Pest Management in the Medical arena. A comprehensive Pest Management plan places our staff in constant contact with key facility personnel. Our staff will educate your staff on ways in which we can all work together to maintain a problem free environment. From sanitation concerns, structural problems or deficiencies, worker habits and practices, to exterior landscaping concerns; a thorough approach to all factors affecting pest issues allows us to stay on top of problems before they arise. Through regular communication with staff, pro-active monitoring in key areas of each facility, and use of numerous non-chemical means of control, we can keep pesticide usage to a necessary minimum. Our goal is to ensure the most responsible approach to effectively maintaining pest free operations in your sensitive environment. Keep the tenants, lose the pests! Dealing with tenants can sometimes be a difficult task. Add pests to the equation, and it could become a nightmare. Eco systems works alongside property management companies to resolve any issues that their tenants may encounter; whether it’s birds in the attic, rats in the back alley, or roaches by the kitchen sink, Eco Systems is prepared to make these problems go away before your tenant issues are out of hand. From problem service to maintenance programs, three family houses to large apartment complexes, we are your key to good tenant relations. So, while your tenants may still have problems, at least they won’t be pest problems. What will people remember about your establishment? Good client experiences can generate a good reputation, warm memories, and ultimately more business. The most extraordinary experience can be ruined, however, by a visible pest presence. Negative word travels quickly. We strive to preserve your hard earned reputation, allowing your clients to focus solely on the enjoyable experience that you seek to provide. Allowing you to concentrate on education, not the changing state laws. We know education. So well, in fact, that we have helped to develop Integrated Pest Management (IPM) programs for many school systems throughout Massachusetts. The health and safety of your students and staff are a top priority. Our wealth of experience in school-based IPM enable us to ensure a problem free environment so that your students and staff can concentrate on what matters most, a quality education. Small does not mean unimportant! Perhaps you’re not publicly traded. Maybe you don’t have thousand employees. But we know that to you, your business is the most important one in the world. And we think you should be treated that way. When you work with Eco Systems, you’ll get the same customized service, attention to detail, expertise and experience we give our other clients. You’ve got more than enough on your plate.